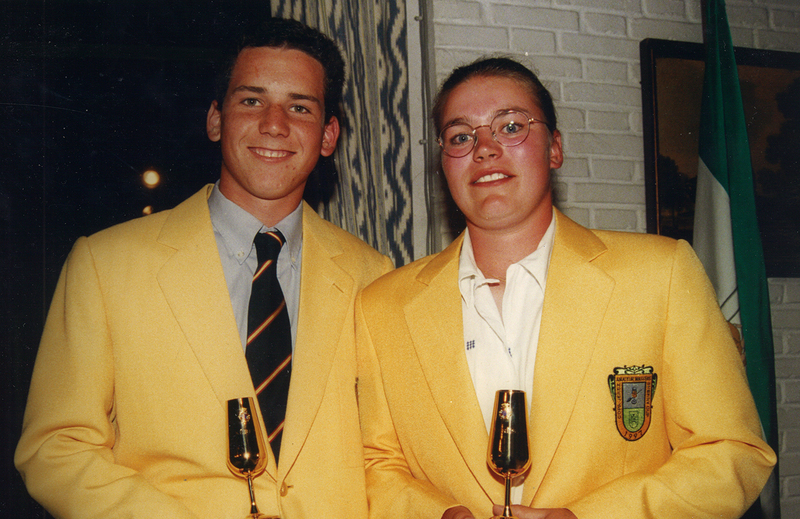 The Sotogrande Cup, European Nations Championship had its origin at the International Week organized by the Club in its early years. In 1970 the Regulatory Council of Jerez wines became the sponsor of the tournament, since then called Sherry Cup, which has been gaining a growing prestige in the international amateur calendar. Since 1998, it was also played as a teams championship as the European Nations Championship, format maintained at present. Since 2007 the Real Club de Golf Sotogrande gives name to the tournament that has become a must for the best amateur players in Europe. Nowadays, it is considered the fifth tournament in importance after the British Amateur, the European Individual and Teams Championships and the Spanish Copa del Rey. Sergio Garcia 1997 & 1998"I’ve played at Sotogrande many times since I was a child. I remember a Spanish Championship and a Match or two before the Sotogrande Cup. We loved going there, it’s a beautiful design and a great course." The list of champions includes well known players such as Sergio García, Rory Mcllroy, Padraig Harrington, Francesco Molinari, Shane Lowry and Catherine Lacoste. Rory McIlroy 2007"Winning the Sherry Cup in 2007 was a big achievement. It reassured me that I was capable of competing against the best players in the amateur game and getting ever closer to my dream of playing professional golf."